A full-size single-screen video installation depicting 'Spearman' a West African musician, who left his home village of Kartong, The Gambia, to embark on a dangerous migration over land and sea heading for Europe, in the hope of a better life. 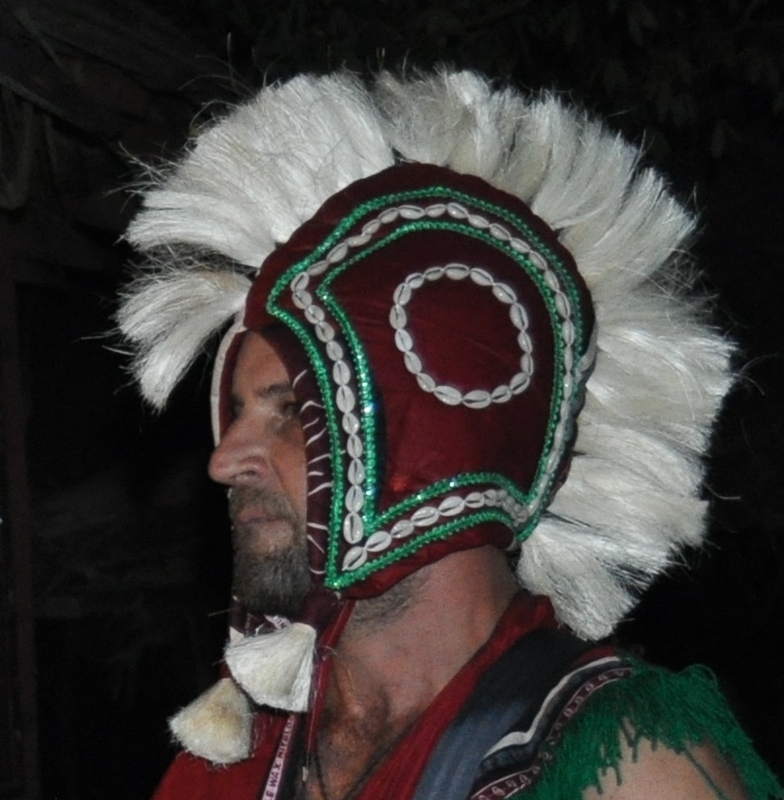 The site specific work by artists Tony Spencer and Kye Wilson, was premiered at the Kartong International Festival on 11 February 2017, together with a live performance by Spearman's former traditional West African arts troupe Kouma Kan Africa. 'Spearman' was premiered in England inside a 20ft shipping container as part of the Journeys Festival International, Portsmouth. 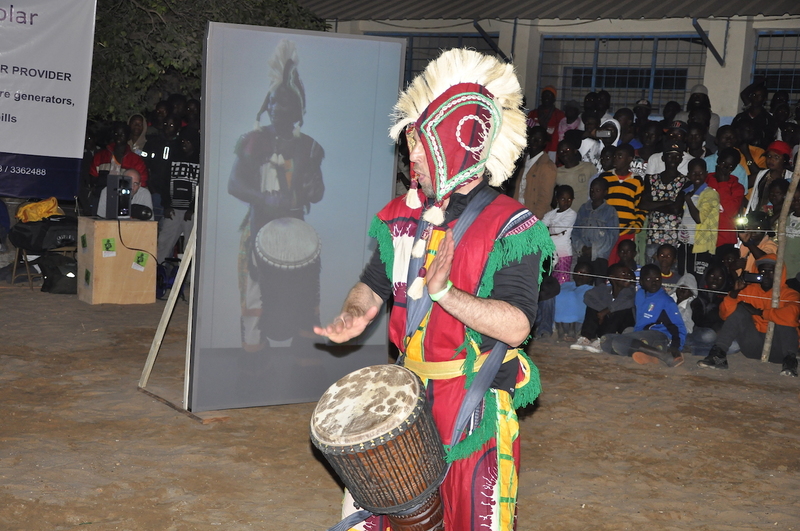 The work was accompanied by drumming from Master Drummer Khalifa Conte, Tony Spencer and local drummers including members of Drum-Nation. The high-definition video was filmed in January 2017 on location in Kunsou, Germany where the musician now resides. 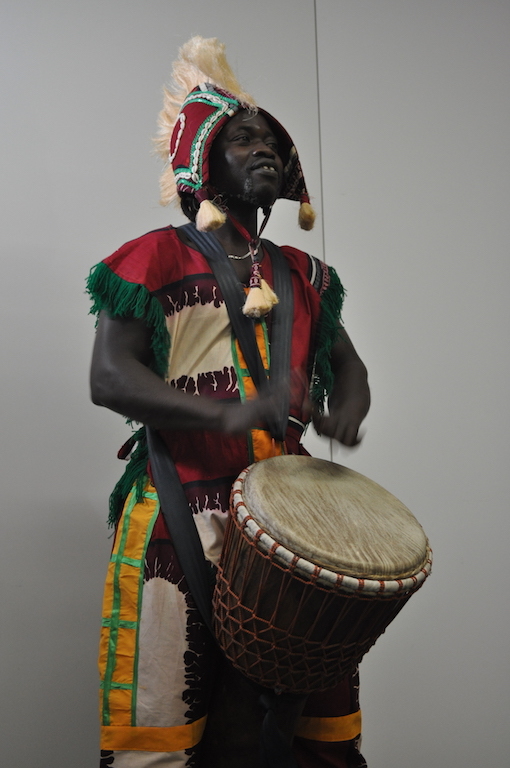 He is depicted in traditional Djembe Fola (African Drummer) costume, performing the traditional West African rhythms: Soko, Dunumba and Komodenu. Spearman left Africa, and took with him the musical knowledge of his cultural tradition, yet with no passport or visa to return home. He joined a progressively growing number of migrating Africans who take the 'Back Way' from Libya, North Africa across the Mediterranean Sea to Italy or Spain, as a solution to brake away from 'extreme' poverty and suppressive governments. With the use of technology Spencer and Wilson propelled ‘Spearman’ back into the future, occupying a place in space and time within his home village of Kartong as a simulacrum ‘digital being’. "As a member of Kouma Kan Africa, for two years I rehearsed and performed alongside Spearman, developing a strong affinity with him and the troupe. When he left the village I had no idea of his whereabouts, however I became aware of the growing media attention to the 'migration crisis' and the recurring subject of migrant deaths at sea. I hoped that Speaman had not succumb to this tragedy. This story isn't about death or the tragic plight of Africans; it's a story of my experience. It's a simple experiment and visual arts collaberation using technology to return the essence of a person to their home village and open up a dialogue about migration. Through the work I aim to explore themes of tribal solidarity, existentialism, African culture, identity and integration." Special thanks to: Kouma Kan Africa, Khalifa Conte, Charlotte Bradley, Vanley Burke, Tina Pringle-Hamilton, Kate Davey, Kerry McPhail, Drum Nation, Journeys Festival International, Kartong International Cultural Festival, Modou Manneh, Amadou Sambou, Sam Teflon, Sandele Eco Retreat. Spearman is supported by public funding from the National Lottery through Arts Council England in partnership with Furry Fruits Visual Arts.